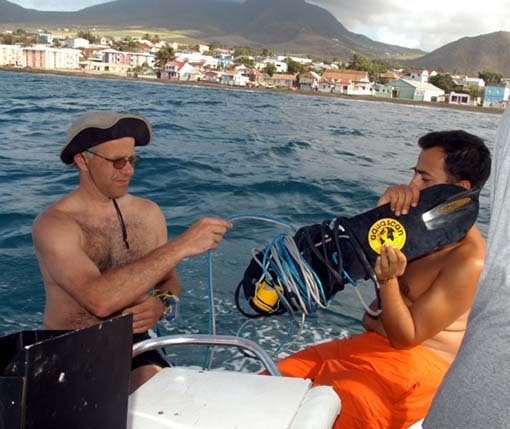 Dr Roberto Junco Sánchez, who took part in ADMAT's White House Bay Wreck in St. Kitts and The Button Wreck in Florida and is one of the ADMAT Students to go on and get their PhD's, works with the National Institute of Anthropology and History (INAH) in Mexico. 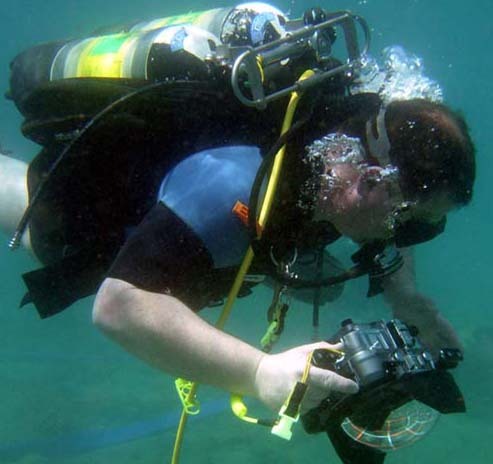 Recently his team while surveying another wreck, they found some important finds. Dr Spooner chatted to him recently about his exceptional discovery and asked him for an article on his discovery. Below is his article and some of the stunning photographs of some of the major artefacts found during the survey and excavation. More than 74 encrusted emeralds, 300 gold pieces including rings, buckles, cufflinks, bracelets, rosaries and toothpicks were found. Unfortunately no remains of the hull were located although some iron cannons were located. 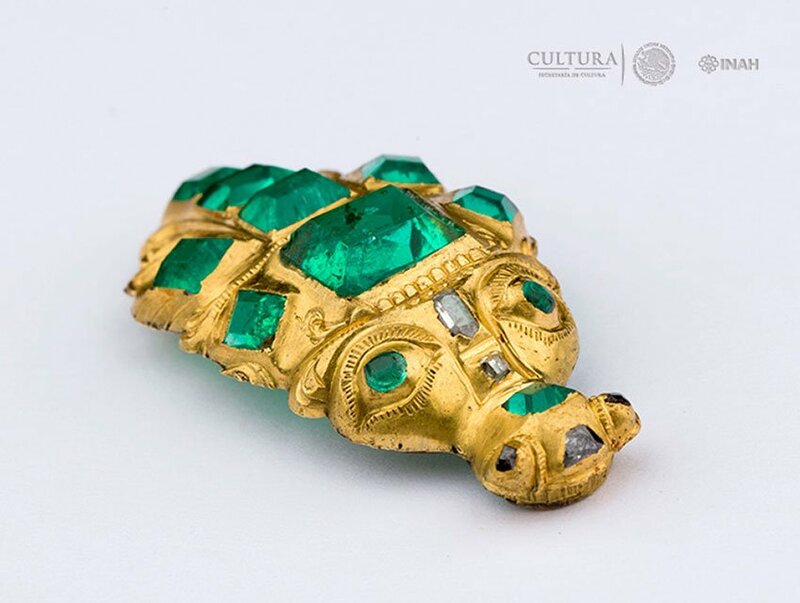 During fieldwork in 2014, on the reefs of the Yucatan Peninsula, studying a wreck a team of Mexican archaeologists from INAH, found a fantastic cargo of Spanish jewels destined to be worn by Spanish high society. 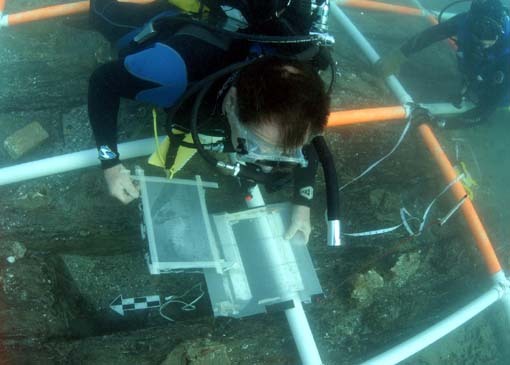 This important finding has given us the opportunity to show that the underwater cultural heritage in Mexico is solidly defended, studied and shared with society by INAH. The work that comprised more than 100 hours underwater, located six cannons of the XVIII century and an unprecedented shipment of jewels. The collection includes 3 zoomorphic pieces of gold with several inlays of Colombian emeralds and diamonds, three loose emeralds of great size and quality, 83 rings, a dozen rings with inlaid emeralds, 3 cufflinks, 2 buckles, 15 toothpicks, 5 reliquaries, 3 buttons, 5 crosses, 2 crosses with emeralds, rosaries, medals, appliques, all of gold, among other objects. Also, it is worth mentioning, a lead scandal a navigation instrument of great importance in a ship as well as some bronze objects. However, due to the shallow depth in which the ship ran aground, almost nothing remains of it. 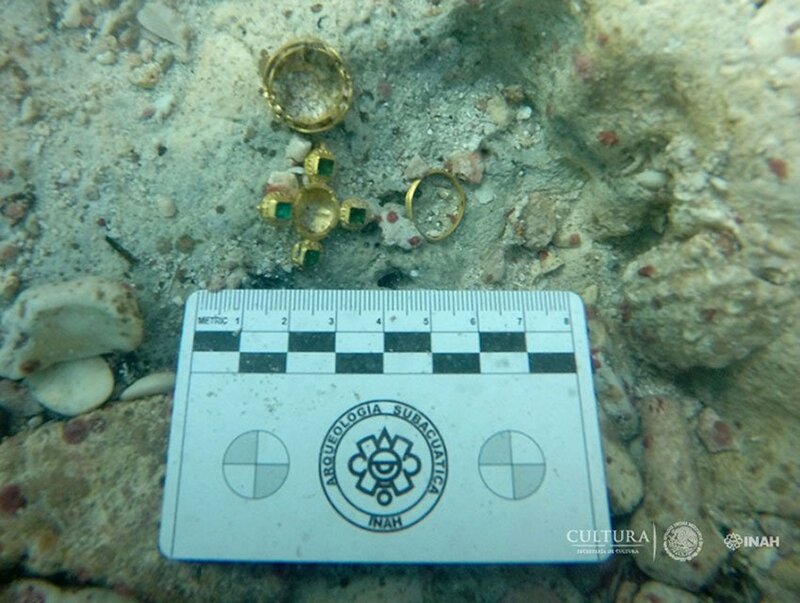 The main result of the Ancla Macuca wreck study has been the systematic recovery of the collection of jewels that sank with the ship and that today make up a suigeneris collection within archaeology in general. 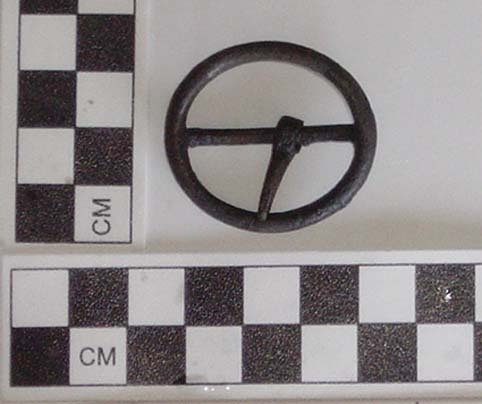 This find opens possibilities to know much about the society that produced, marketed and wore these pieces. In addition, its exhibition at the Museum of Underwater Archeology of Campeche, allows the public to enjoy the rich cultural heritage submerged in Mexican waters and socialize the work of the INAH archaeologists. But undoubtedly, it is an achievement to have located, studied and presented this collection, questioning what many treasure hunters have tried to promote and is proposing to the state the search for this type of traces in exchange for economic retribution. 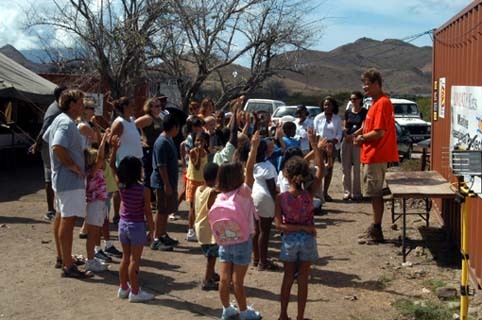 We show that INAH is capable of attending these types of materials, studying them and socializing them efficiently. 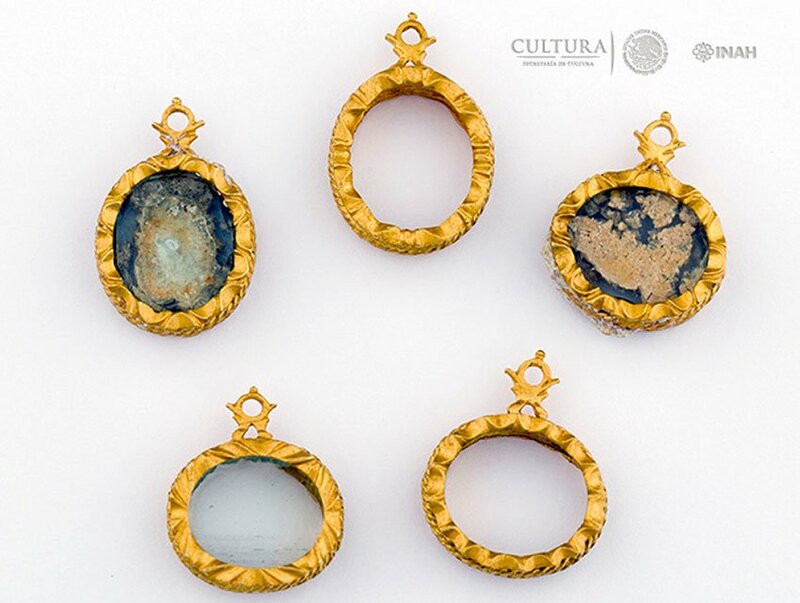 Similarly, it is worth noting that we managed to save these materials from the ant looting of our underwater cultural heritage, a practice that still exists in Mexico and that only with the education and legal position that Mexico has adopted we will be able to counteract it. Older PostADMAT's Summer Maritime Archaeological Project is Announced - Le Dragon - July 2018. Apply Now to take part!